Join Chef Mom Rosebud Benitez for another round of 10-minute kitchen wonders here o Quickfire, a step-by-step guide to delicious everyday meals for the busy you. 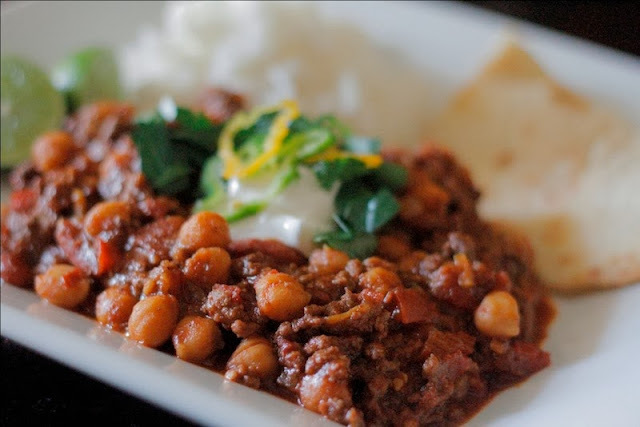 Chili con carne is a Spanish word for “Chili with meat”. During the early days this recipe is made out of dried beef, a type of beef fat called suet, dried chilli and salt which are then pounded together and dried on bricks which make its shelf life longer as it was consumed on early expeditions, then they boil it on pot while on their trail. But the new age versions are made out of beans, tomatoes, chili peppers, garlic, onions, cumin and ground beef. 1. Heat pan with oil and saute garlic and on ion. add beef and cook till brown. 3. Add in tomato sauce, boil and simmer. 4. Season with cumon and chili powder. 5. Sprinkle with Ajinomoto Umami Super Seasoning. 6. Ladle Chili in bowls and serve with the flour tortillas.